In this photograph, young men stand outside the hospital. After being sorted by nationality and gender upon arrival at Angel Island’s administration building, a medical exam was the first test awaiting new arrivals. One of the reasons immigration officials placed the station on an island was to help prevent the spread of disease. If immigrant applicants were found to be in poor health, they might be detained longer in the station hospital or face deportation back to their country of origin. 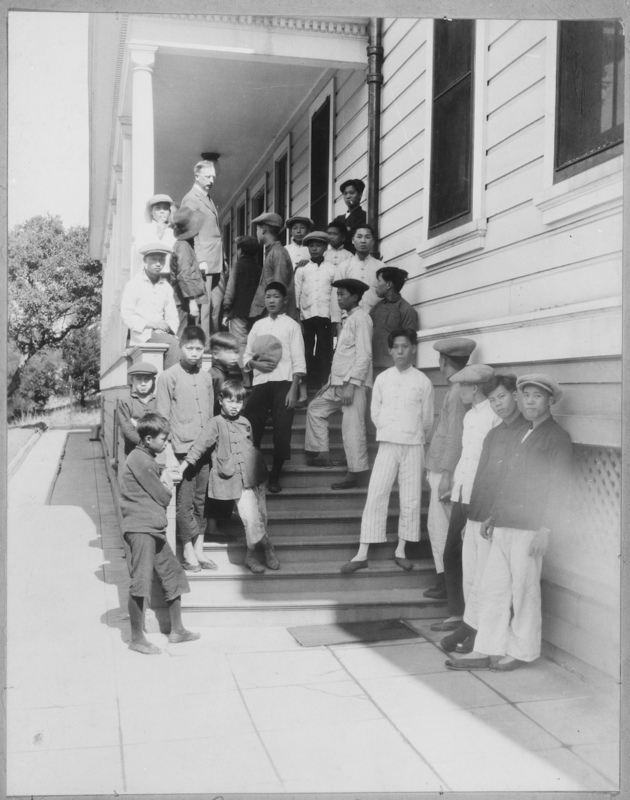 Department of the Treasury, Public Health Service, “Angel Island Hospital,” Digital Public Library of America, https://dp.la/item/1d42dabc4485bb7e473a9a99d8b35e46.